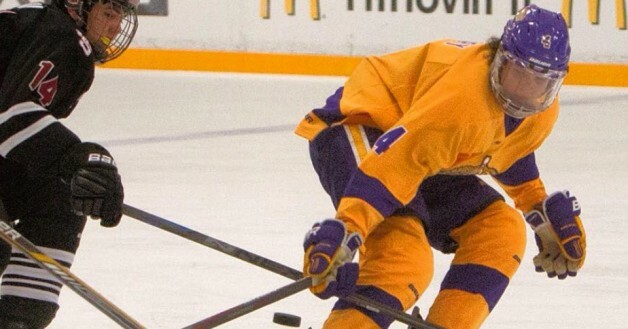 The Los Angeles Jr. Kings have announced that defenseman Jacob Modry, who will play for the organization’s 16U AAA Major team this coming season, has committed to attend and play his NCAA Division I hockey at Rensselaer Polytechnic Institute (RPI) following his junior career. In 2014-15, the 1999-born Modry patrolled the blue line for the Jr. Kings’ state champion 16U AAA Minor team under the leadership of head coach Igor Nikulin where he totaled two goals and 12 assists in 24 Tier I Elite League regular-season and playoff games. Earlier this month, the 6-foot-3, 170-pound Modry participated in the prestigious USA Hockey Select 16 Festival, which was showcased in Williamsville, N.Y. Located in Troy, N.Y., RPI competes in the Eastern Collegiate Athletic Conference (ECAC). One of the oldest NCAA programs in the country, the Engineers have qualified for the NCAA Tournament nine times during their over-100-year history – most recently in 2011. Last season, the Engineers, led by head coach Seth Appert, finished with a 20-14-3 overall record (14-7-1 in ECAC play).